It is amazing where you will find people with a “customer first” mindset and an innate sense of understanding customer needs and how to fill them. 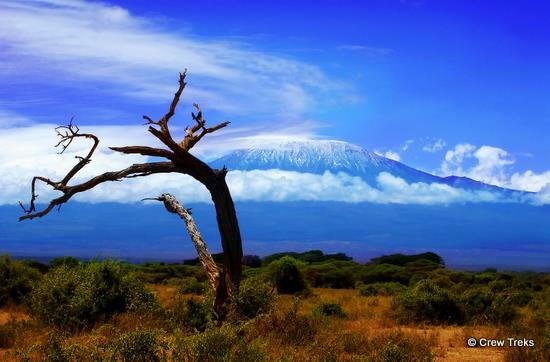 Mt Kilimanjaro in Tanzania, Africa, at 19, 340 feet, is the highest free-standing mountain in the world. Mt Everest stands atop a mountain range. The climb from Everest Base Camp to the summit is between 11,000-12,000 feet depending on whether you start from the south or the north. But the continual climb of Kilimanjaro from base to the top is over 19,000 feet. So, when you start climbing the mountain you climb for a continuous six days increasing your elevation by over 3,000 feet per day. It is not a technical climb, so the biggest danger is altitude sickness, which will effectively end your mission to get to the top. My friend, John, booked with a Tanzanian expedition company with experienced guides and travelled to Kilimanjaro last December with both excitement and anxiety. He dearly wanted to make it to the top, but could he? Climbing high mountains plays on you both physically and mentally. On the lower parts of the climb he kept hearing stories of how hard it is to reach the summit. He saw people being rapidly brought down the mountain suffering from altitude sickness. After five days of climbing, John, his fellow climbers and their guides set off at 11pm for the remaining 3000 foot climb to the summit. The oxygen deficit at that altitude impacts the body and the mind. John was feeling tired, but good. The Tanzanian guides were continually encouraging the climbers – “go slow. You’re doing great!” At one point a guide came back to John and suggested he carry John’s backpack for him. John felt OK and said he could carry it himself. The guide persisted and said he would only carry it as far as the next rest stop. When they arrived at the next rest stop, John could see that the guide had carried an additional three packs apart from his own. When John approached him, the guide said he would just carry it a little further for him. They reached the summit at 7.30am the next morning and the guide was waiting for an exhausted John with his backpack. Who knows whether he would have made it carrying his own pack. But, the guide could sense that John may have difficulties making the top – not only in the first part of that summit climb, but for the last bit of it. He was thinking ahead of his client’s future needs. He was almost literally “walking in the shoes” of his customer. He was checking with his client to understand how he was feeling and sensing what else he could do to help him achieve his goal. Most of all he was thinking of his client as a human being. John was overcome by a sense of gratitude to his guide. The emotional connection was intense. Isn’t that what real customer service is about? This entry was posted in Customer Centric Culture, Customer Centric Values, Customer Experience, Customer Foresight, Customer Satisfaction, Customer Service, Empathy, Market Culture in Action, Trust, Uncategorized and tagged great customer service;great customer experience;customer culture; customer empathy;customer foresight. Bookmark the permalink.